Succulents grow thick fleshy leaves and stems that store moisture and nutrients. This ability allows the plants to thrive in dry conditions. Potted succulents often require less watering and fertilizer than other houseplant varieties, but the irrigation they do require flushes nutrients out of the soil, so they need periodic feeding. Too much fertilizer, especially high-nitrogen blends, increase leaf and root rot problems. 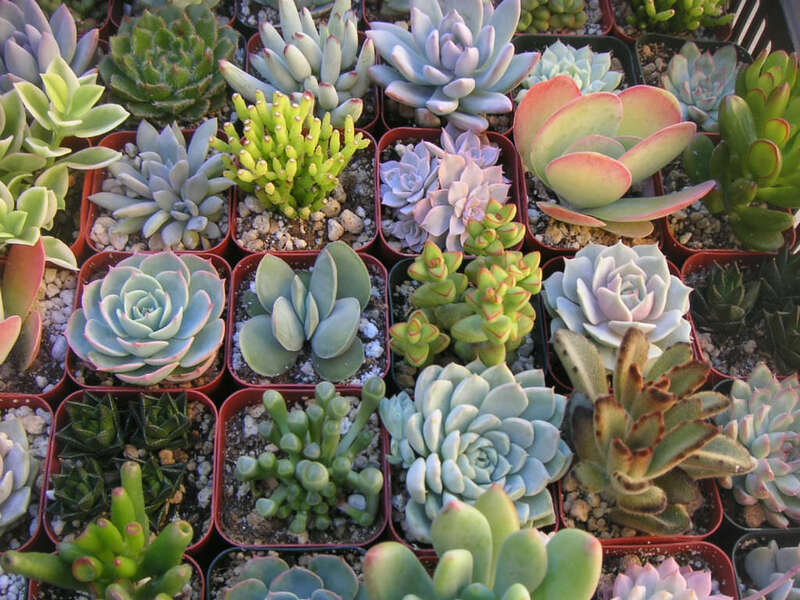 It’s vital to use the right blend and avoid overfeeding to keep the succulents healthy. Dissolve a low-balanced soluble fertilizer, such as an 8-8-8 or 10-10-10 formula, in 1 gallon (3.8 l) of water, Use half the amount of fertilizer recommended on the package for most succulents. For example, use ½ tablespoon 10-10-10 fertilizer if the label recommends using 1 tablespoon per gallon of water. Dilute to one-quarter strength for tropical succulents that require more frequent watering, such as a Christmas Cactus. Water succulents with the half-strength solution until the excess moisture just begins to drain from the pot bottom. A gallon ((3.8 l)) of fertilizer solution may be enough to feed several plants, depending on size. Apply the fertilizer in spring as new growth begins and again in late summer or early fall. Do not fertilize when the succulents are semidormant in winter. Irrigate tropical succulents weekly with the quarter-strength solution during the plant’s active growing season. Some tropical varieties actively grow in summer, while others are winter plants. Stop the fertilizer applications when plant growth naturally slows. Apply fertilizers when the soil in the top inch of the pot has dried completely. Postpone a weekly application if the soil is still moist, so the soil can dry. You can substitute the quarter-strength fertilizer for most succulents if the soil is drying rapidly in the pot and necessitating more frequent watering. Frequent irrigation flushes the nutrients from the pot before the plant can access them. Outdoor succulents usually don’t require fertilizer because they can access the nutrient store in the soil. If they do need feeding, apply half the recommended amount of a balanced slow-release fertilizer in spring.